Universal Dork’s Halloween Horror Picks #2! Cronenberg’s BEST! People just love Cronenberg! 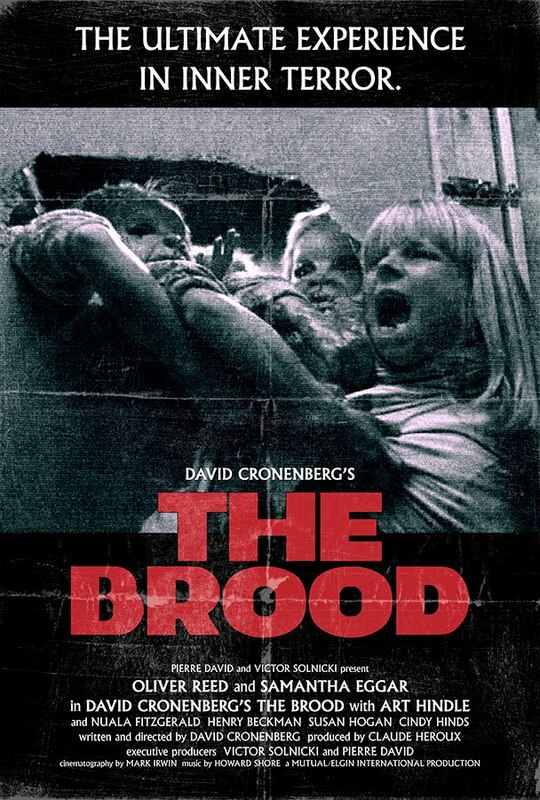 However many people who love him today for movies like Eastern Promises & A History of Violence have long forgotten his amazing horror films like The Fly and his best in my opinion “The Brood”. If you have never seen this incredibly creepy movie from 1979 you are missing out big time. It’s also best that you know as little as possible about the plot as it will confuse you right up until the truly shocking finale. It’s been described as a horror version of Kramer vs. Kramer and I’d have to say that’s a neat way to look at this one. It’s follows the story of a man who’s wife is receiving a strange theatrical therapy to help her with mental and emotional problems she’s experiencing. However when the husband finds bruises and cuts on their daughter he begins to suspect his mentally imbalanced wife may be to blame. To make matters worse a brood of horrifying mutant children begin creeping around inside their house and soon people end up dead. This one is a Cronenberg masterpeice that should not be missed or seen again this Halloween! A true horror classic!! It’s October & Universal Dork’s Horror Movie Picks Start Today!